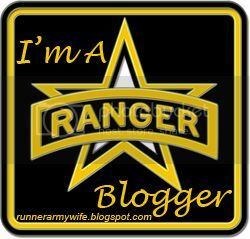 making memories with our military brat. 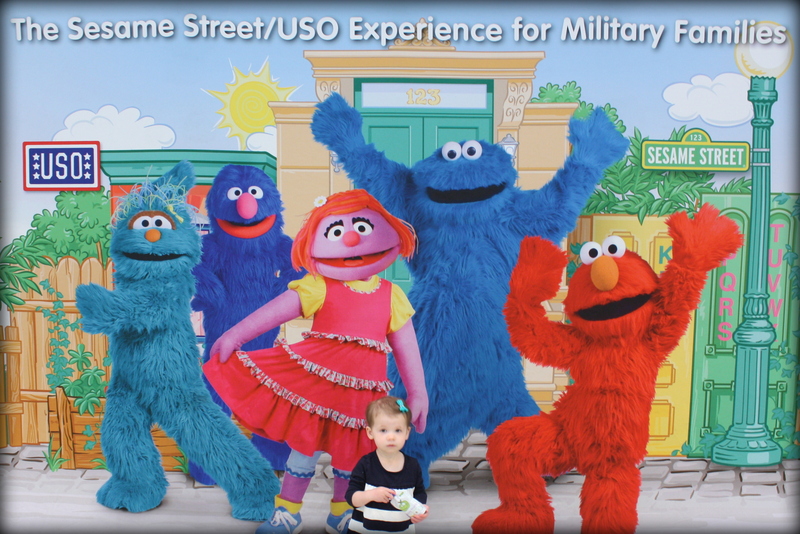 The Fort Bragg USO treated local military families to a free performance of The Sesame Street/USO Experience today. It was Madeline’s very first show. It seemed appropriate during this- the month of the military child- to celebrate Madeline (and her peers) and all that she has endured and accomplished during her short life in the military. 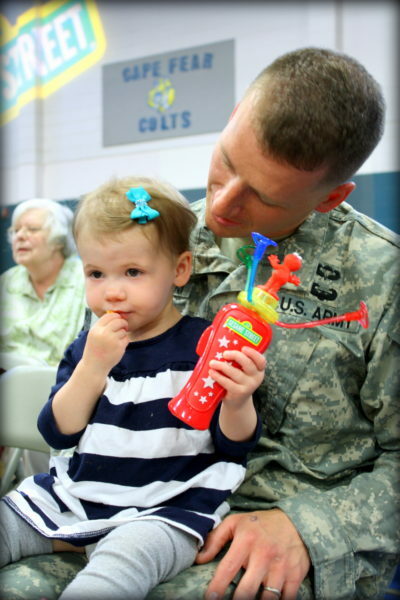 It still strikes me as surreal sometimes that we’re raising a military brat, that Madeline’s childhood is already so different from my own. She is not even two years old, and she has already called two states home (Georgia and North Carolina). She has learned how to initiate a FaceTime call on her own to far-away family. She has flown on an airplane more times in the last two years, visiting family and friends, than most people do in their entire lives. 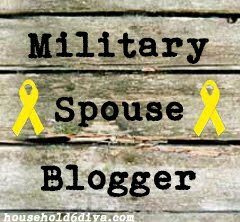 She has made necklaces out of boot blousers, been packed into a rucksack and traipsed around in nothing but combat boots and a diaper. She knows to stop and stand quietly when saying goodnight to the flag. She says bye-bye to her daddy any time he walks out of a room, probably because she has missed him for more than a quarter of her life (20+ weeks away at training/schools/Army stuff since she was born, which is lucky considering most children have had a parent deploy in the last two years).